Choose from nine colors in the is New Pattern. 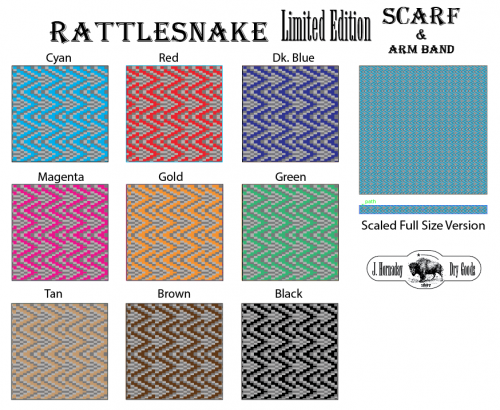 The Southwestern Beadwork design looks an old wrangling sidewinder....just more colorful. Add you alias to scaf and arm bands for just a little more!